iPhone users often hold Apple culpable for slowing down their devices through cumulative software updates. However, one Reddit user believes that the slow-down of iPhones and iPads could also be due to a hardware problem and after replacing the battery of the current iPhone, one user experienced better performance. Reddit user TeckFire owns an iPhone 6s which features 64GB of capacity and it was reported that after updating the device multiple times, it eventually started slowing down. The user decided to perform a research of sorts and experienced better scores on Geekbench after replacing the old battery with a new one. TeckFire explains what transpired during all this time, along with a screenshot of the scores. “My iPhone 6S has been very slow these past few weeks, and even after updating multiple times, it was still slow. Couldn’t figure out why, but just thought that iOS 11 was still awful to me. Then I used my brother’s iPhone 6 Plus and his was… faster than mine? This is when I knew something was wrong. So, I did some research, and decided to replace my battery. Wear level was somewhere around 20% on my old battery. 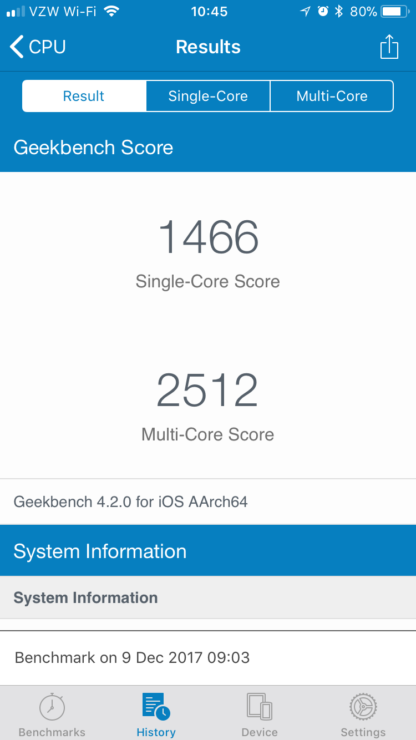 I did a Geekbench score, and found I was getting 1466 Single and 2512 Multi. This did not change wether I had low power mode on or off. After changing my battery, I did another test to check if it was just a placebo. Nope. 2526 Single and 4456 Multi. From what I can tell, Apple slows down phones when their battery gets too low, so you can still have a full days charge. This also means your phone might be very slow for no discernible reason. 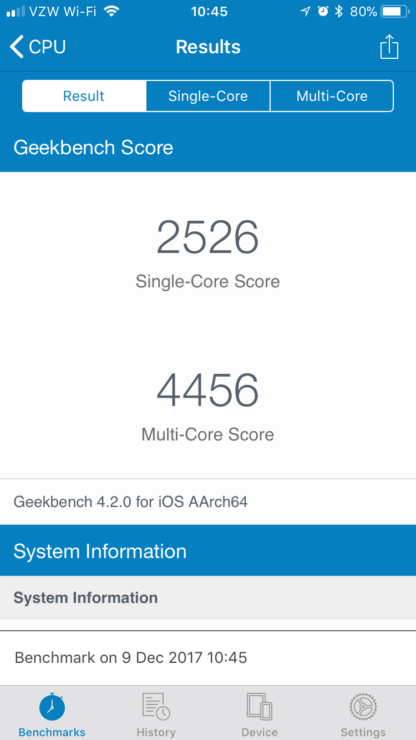 Check your Geekbench scores and see what you get if your phone is still slow! Now, why could this be happening? Remember, the issues that iPhone 6s users were facing in which they reported random shutdowns. Shortly after, a software update was released to fix this problem, but it is possible that some changes were made along the way. It is possible that the software updated the iPhone’s clock speed and made it relative to the voltage that the battery was delivering, making sure that it will not pull too much power, which earlier lead to it shutting down spontaneously. In short, what this could mean for future iPhone owners is that the more your battery degrades over time, the software will keep dynamically altering your clock speeds to match those of your battery. While you might be able to experience better battery life, it could result in slower performance. 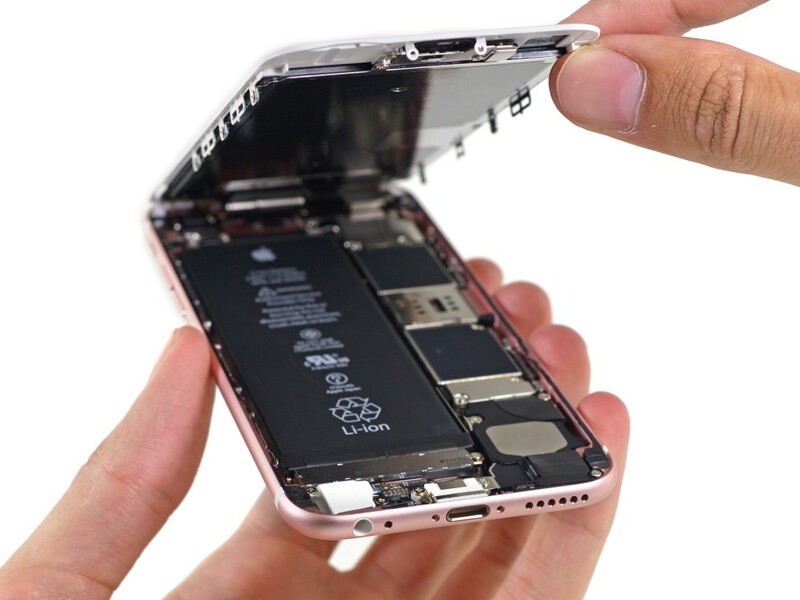 If you can, replace the battery of the iPhone as soon as you experience some slow-down.